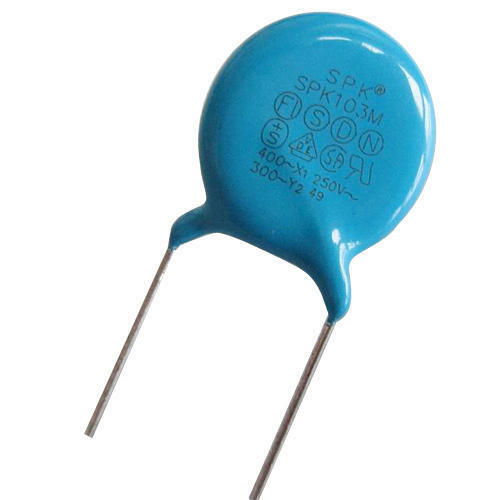 We are passionately engaged in offering to our clients a wide range of Safety capacitor. These products are designed by skilled professionals utilizing high quality raw material & modernize technology. Incepted in the year 1990, Cirkit Electro Components Private Limited is an eminent entity indulged in wholesaling, trading , distributing, exporting and importing a huge compilation of IGBT Module, Bridge Rectifier, Electric Transistors, Integrated Circuit, Triac Module, Piezoelectric Film, LED Products and many more. Manufactured making use of supreme in class material and progressive tools and technology at our vendor’s end, these are in conformism with the standards defined by the market. Along with this, these are tested on a set of norms prior final delivery of the order.